Are you looking to build a home that is timeless, elegant and comfortable? Are you ducking the trends that seem to come and go in architecture in favor of something a little more traditional? 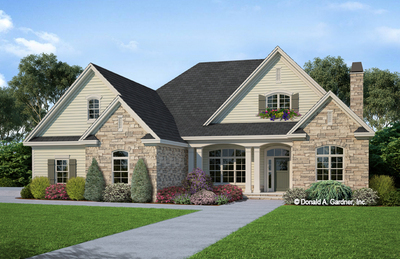 If so, Donald A. Gardner Architects is here to meet your needs with our selection of traditional house plans. In a world where architectural trends seem to go to the extreme everywhere you look, traditional home plans are the ideal choice to lend sophistication to your home design. These traditional house designs combine timeless exteriors with beautiful, functional interiors to make the ultimate family home. With one of these floor plans, you can have a modern and comfortable home, with timeless style that potentially increases your home's resale value. When you look for classic house plans from Donald A. Gardner Architects, you will find that our designs offer variety. 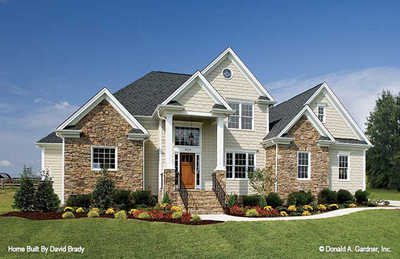 While all of these traditional-style house plans embrace the timeless look you love, we have something for everyone. Our house plans range in size from cozy starter homes all the way to spacious estates, so you are certain to find one that fits your needs and budget. If you're in the market for a large estate property, consider The Heatherstone. The Heatherstone captures luxury living with two screened porches complete with fireplaces, verandas and a custom spa all built into the design. Measuring 6,155 heated square feet, The Heatherstone has plenty of room for you and your family. For those shopping for smaller lots, The Matthews offers a 1,308-square-foot design that feels larger than it is. Cathedral ceilings, a deck and three bedrooms round out this cozy design with luxury features throughout to provide comfort. Whether you need a home with a second master suite for in-laws, bedrooms with a connecting bathroom for the kids, or a home that doubles as a family retreat and entertainment space, we have what you need. We invite you to search for the traditional floor plans that perfectly match your needs today, using our advanced search parameters to refine your selections.If you find that the traditional-style house plans we offer don't quite meet your needs, contact our modification services department. With our help, we can transform any of these traditional home floor plans into exactly what you envision. From adding an element in the interior to redesigning the exterior to match the area where you will be building, our team will create the design you need and want. Contact us today.